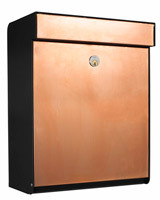 Garrison's new range of mailboxes are designed to be both modern and functional. Each design incorporates a solid structure and exceptional attention to detail, resulting in a product of high quality that lasts. Every mailbox in our new range comes with a 12 year warranty, your choice or labeling and the choice of two stand styles. Click here to go to the Allux Mailbox shop. The Classic LT is a clean, strurdy unit that exudes an aesthetically pleasing, classic design. 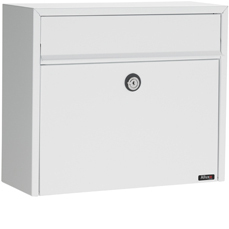 The Classic LT can be used as a single unit or combined into a bank. Available in black or white, galvinazed or painted steel. 1mm galvinazed or painted steel. The Classic XL, the LT's big brother, follows on with the clean solid, classic design. The Classic XL can also be used as a single unit or combined into a bank. 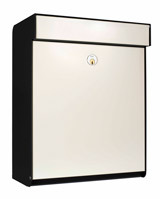 Available in black painted galvinized steel with stainless steel front door and slot. 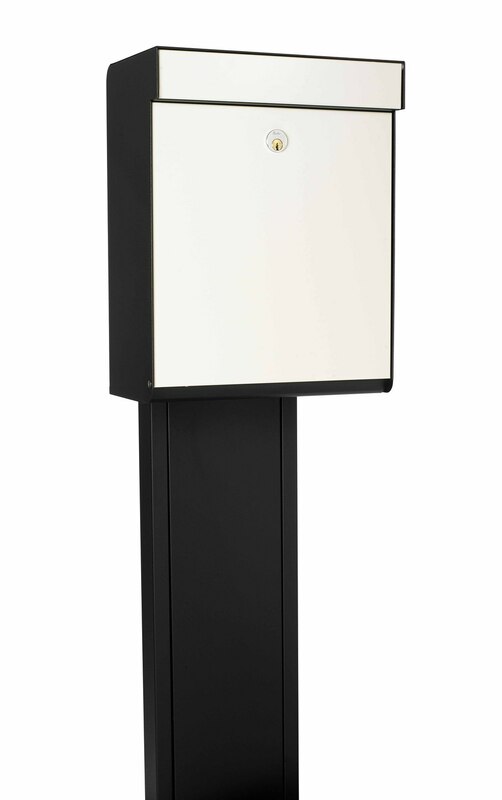 The Frontier mailbox incorporates a striking design at half the price, without sacrificing quality. Projection and overhang form the characteristic shape that also protects your mail from the elements. Available in galvinized painted steel in black, white, red, and stainless steel. The Eclipse is an elegant, high quality product with a striking appearance. Ideal for individual or banked setups. Eclipse features a two part interior, the rear section holds newspaper and catalogues, while the secure front compartment hold your important mail. The Eclipse LX features a similar design to the standard Eclipse, with harder edges and a modern design. There is room for both the post and large quantities of newspapers / advertising you receive. Constructed of strong materials, perfect as a single unit or banked. With more and more people shopping online there is always the issue of what happens to your parcel if you're not available to receive it. The Galaxy Parcel Mailbox solves this problem with its generous capacity and secure delivery system. Perfect as a standalone mailbox, or a companion to your existing mailbox, you will never miss an important delivery again. Galaxy Parcel Series are powdercoated steel, available in black, grey, and white. These are available in a variety of colour and finish combinations, photos and details coming soon. If you would like a quote on any of the above, or would like to place an order please contact us here. We currently have samples at our office if you would like to view these products.